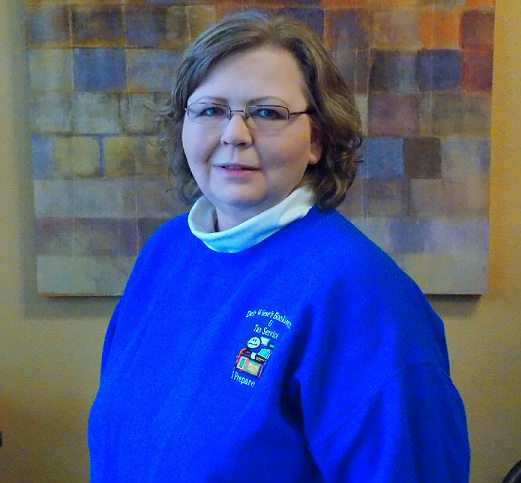 Robin became working for our office for the 2013 tax season but not new to tax preparation. She started her tax career in 2007 and became an Enrolled Agent in 2009. Robin works in both the Clinton and Dewitt offices. She comes to us with a BA in Communications and Computer Network Administration from St. Ambrose University. Robin says she enjoys doing taxes because she loves meeting new people and helping them get the best refund possible. She also enjoys the challenges that preparing taxes brings. All the continuing education required for this profession keeps the work from getting boring. Robin lives in Fulton with her husband Gary and their two dogs Duchess and Buddy. She likes cats too and enjoys Xena’s greetings in the morning.